T&Cs apply.18+. New Customers Only. £20 extra = 1 cash game ticket of €8 and 4 x UK Tour tournament tickets of €4. £500 Playthrough bonus = €600. Activated upon first deposit from poker client. Tickets expire after 35 days. Playthrough bonus after 60. £1 = €1.1875. Unibet Poker is a high-quality, professional-level poker site that is also suitable for beginners. A Poker School helps new players learn the game, while high-stakes multi-table tournaments give experienced players the challenges they crave. The tournament section of the site is split into freerolls, events with low buy-ins ($50 and under), and high stakes tournaments which are mostly qualifiers and satellites. Players can expect to see upwards of 20 freerolls offered every day, and even more buy-in events. The promotions schedule at Unibet Poker is not quite as impressive as the tournament schedule. It actually varies quite a lot from month to month, with some dry spells to be suffered through. Happy Hour tournaments though, give players a lot of bang for their buck. 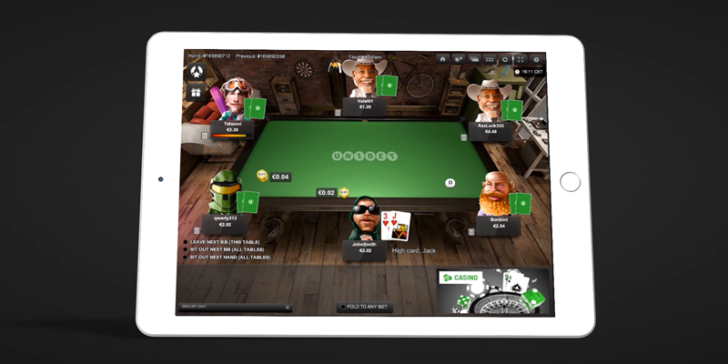 Unibet Poker launched at the beginning of 2014, “Challenges”, a new loyalty scheme which assigns players a minor (preflop) and a major (postflop) step. The minor steps consist of a challenge such as “raise a hand and win preflop 10 times” and the major steps consist of challenges such as “see a flop of QJT in any order 10 times”. After a player completes a step gets assigned a new one and awarded points depending on the played stakes. There are different steps for NLHE and PLO. £20 extra + £500 Bonus Play! 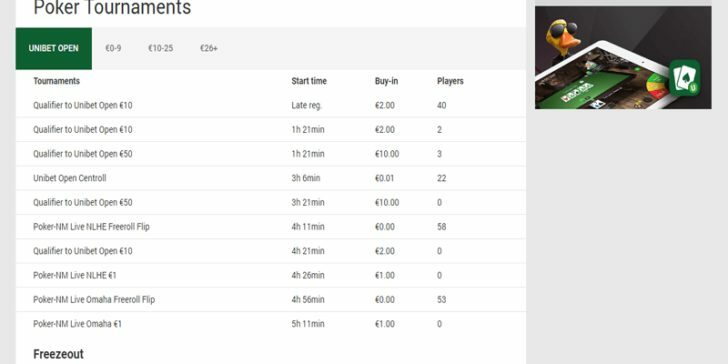 Unibet Poker’s Biweekly Poker Tournaments Give Away €40,000 Play! Free Poker Tournaments for Real Money – Every Day at Unibet Poker! Play! Unibet Online Poker Series Share €350,000 in 2018! Play! 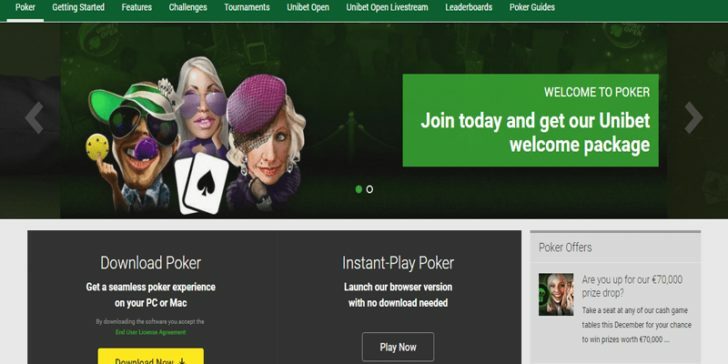 Win Real Money on Online Poker: Unibet Poker Gives Away €64,000! Play! Win Your Share of €10,000 on Weekly Online Poker Tournaments at Unibet Poker Play! Playing at Unibet Poker Will Make You Win European Open Package! Play! Win a €3,000 Super High Roller Unibet Open Buy-in Package Play! Win a Vacation for Two to Vietnam with Unibet Poker! Play! Unibet Poker Christmas Promotions Will Overwhelm You in December! Play! Win a Million Euros Thanks to the Milestone Hand at Unibet Poker Play! Sign up to Unibet Poker and get a EUR 200 Poker Welcome Bonus Play! Unibet Poker has Prepared a Great December Mission just for you Play!